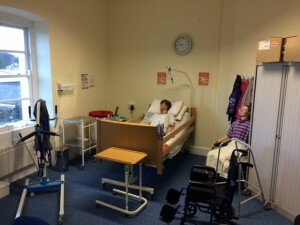 This course is designed to prepare students to work as a healthcare assistant in a variety of settings such as nursing homes, community settings and hospitals. There are practical and academic components in this course including skills demonstrations, assignments, exams and project work. Leaving Certificate or Leaving Certificate Applied or LCVP or FETAC/QQI Level 4 Award. Equal consideration will be given to mature applicants (those aged over 23) who do not meet these entry requirements. Students will need to undergo the Garda Vetting process. External work experience is a vital part of this course. Learners are required to secure a minimum of 80 hours work experience. *COSTS & COURSE DETAILS ARE SUBJECT TO CHANGE. Learners who successfully complete the course will have many professional and academic opportunities. These include pursuing the QQI Level 6 programme in Social Care or QQI Level 6 Early Childhood Care and Education and other programmes in the healthcare field for e.g. health promotion. Information about courses in the Healthcare field can be obtained from the Higher Education Institution literature/website. Other QQI Level 5 Modules can also be pursued e.g. Maternity Care Support or Operating Department Care Skills. Level 8 Applied Psychology, Level 8 Social Care Practice and Level 8 Applied Social Studies in Social Care – Athlone IT. Career opportunities can include working in Nursing Homes, Specialist Care Settings e.g. hospices, Hospital Settings.